With the broad backgrounds in various disciplines (electric, mechanical and chemical engineering), Danqing Liu is a materials scientist. In the work, she attempts to fill the field between molecular sciences, such as synthetic organic chemistry, and the dimensions of the more macroscopic materials including morphology and shape control. Special in the approach is the transfer or even amplification of the responsive (dielectric-, ferroelectric-, piezoelectric-, and/ or photo-chemical) effects of a single molecule to the macroscopic level of a device. This is realized by incorporating the functional molecules into suitable and cooperative host materials, such as liquid crystals. Danqing Liu received her master degree in Electrical Engineering in 2009 at the Delft University in The Netherlands. She joined the Department of Mechanical Engineering at Eindhoven University of Technology, The Netherlands for her PhD research. She developed polymer responsive surfaces based on hydrogels and liquid crystal polymers. She received her PhD degree in 2013. In the same year she joined the Department of Chemical Engineering and Chemistry at the same university working as postdoctoral student on new mechanisms of surface activation. In 2015 she was Research Fellow at the Institute of Complex Molecular Systems in Eindhoven, The Netherlands. 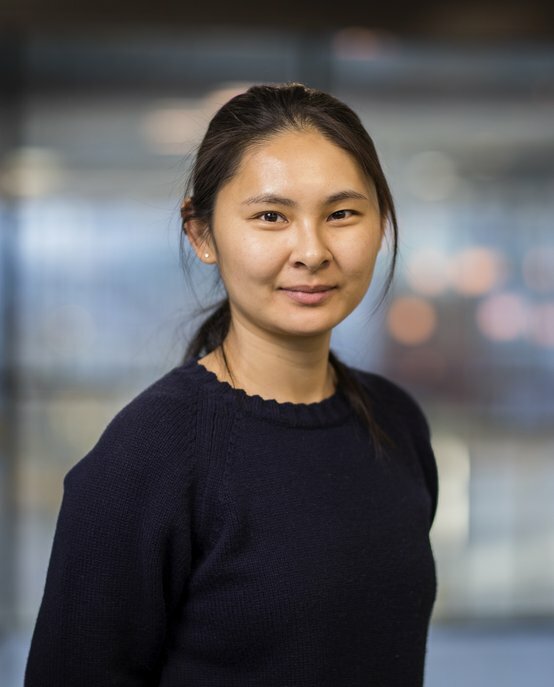 From 2019 she is appointed as Assistant professor (Tenture) at the Department of Chemical Engineering and Chemistry, Eindhoven University of Technology. Dr. Liu has around 30 publications in important peer-reviewed journals as Nature Communications, Advanced Materials, Advanced Functional Materials, Proceedings of the National Academy of Science and Angewandte Chemie Int. Ed. She is the recipient of a Dutch national 4TU grant (2015), and Veni grant (2016) from Dutch national science foundation (NWO) to proceed her research within the Netherlands.